Back in November 2016, as part of the pre-SIHH 2017 reveal, Audemars Piguet introduced a surprising and amazing version of its emblematic Royal Oak, the Frosted Gold version. This watch featured a superb surface finishing known as gold hammering or frosting. And even with its 37mm case, we told you why, as men, we also liked it. 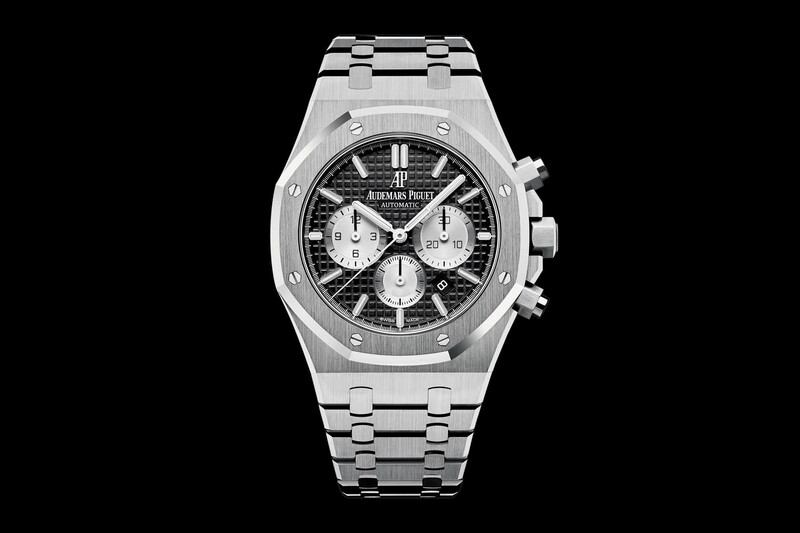 However that was without knowing that the brand had something even more masculine in mind, as that same surface treatment has now been applied in a men’s version, with the Audemars Piguet Royal Oak Frosted Gold 41mm… And that comes along with redesigned Royal Oak Cufflinks (and we all know how cool they are). 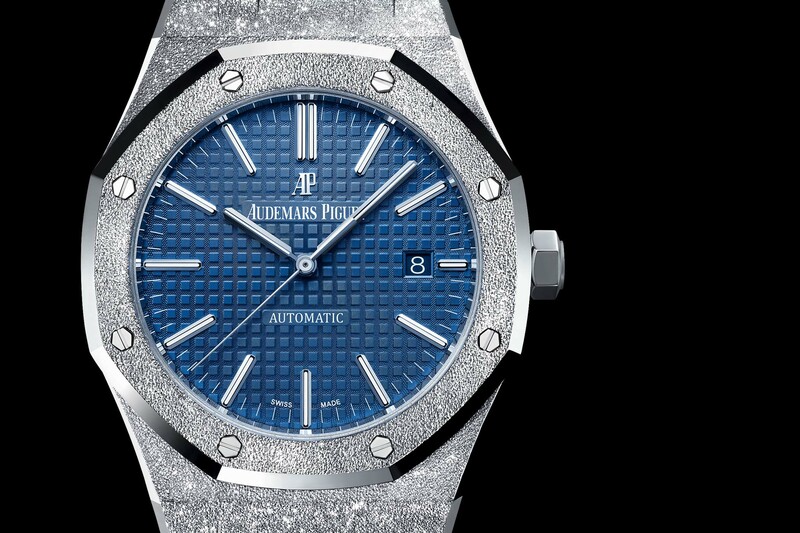 While I always tend to say that the 37mm edition of the Royal Oak shouldn’t be seen as a ladies-only model, as clearly it looks perfect for a man with smaller wrists, what Audemars Piguet has today makes no doubt on why frosted gold isn’t just a feminine option. 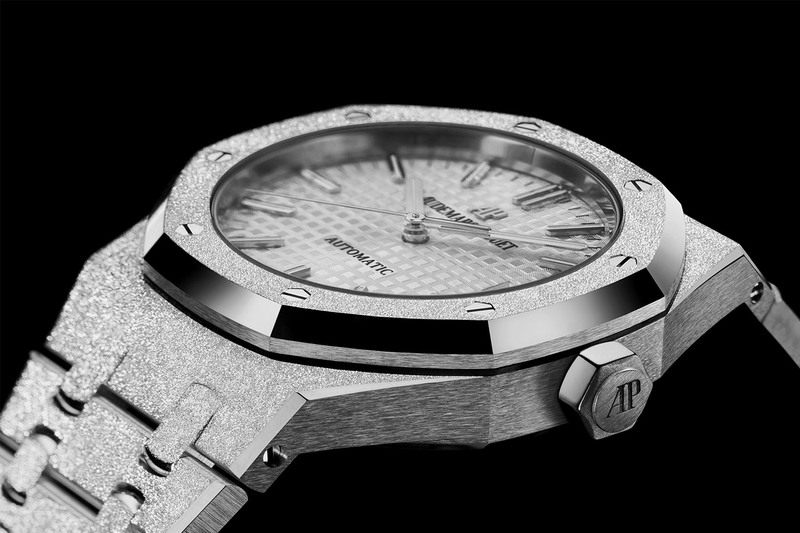 Because it is now featured on the robust 41mm Ref. 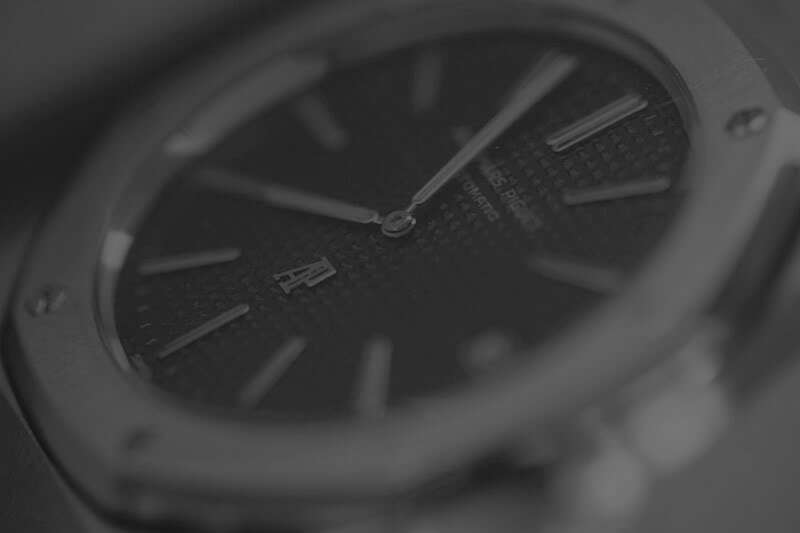 15400 version of the Royal Oak – and to make sure no confusion is possible, the hammered case is made of white gold, and paired with a deep blue dial – very like the look of the standard steel version for men. But the most important detail here is about this “frosted” surface. The technique used here is named frosting, gold hammering or Florentine technique. 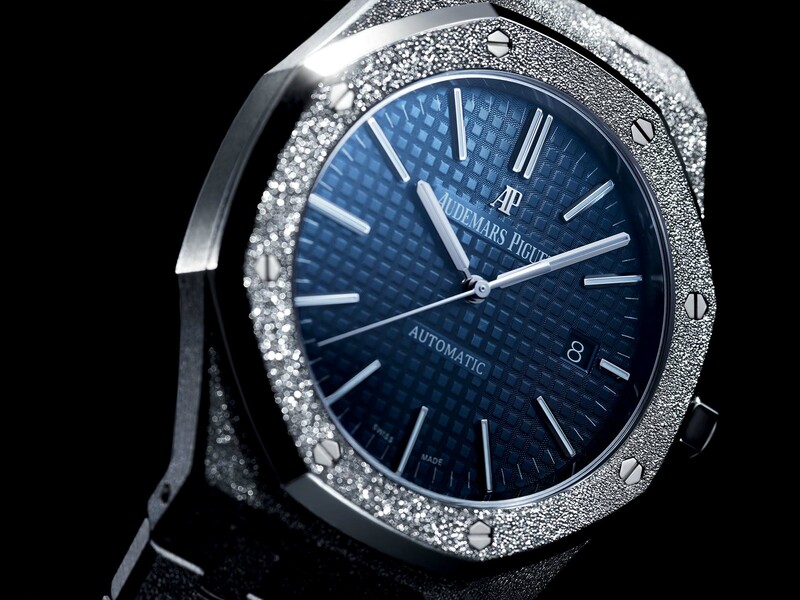 To test and try on prototypes, Audemars Piguet and Carolina Bucci (the jewellery designer behind this idea of a Royal Oak Frosted) started with the antique manual solution, with a diamond-topped tool (a technique frequently used in jewellery). 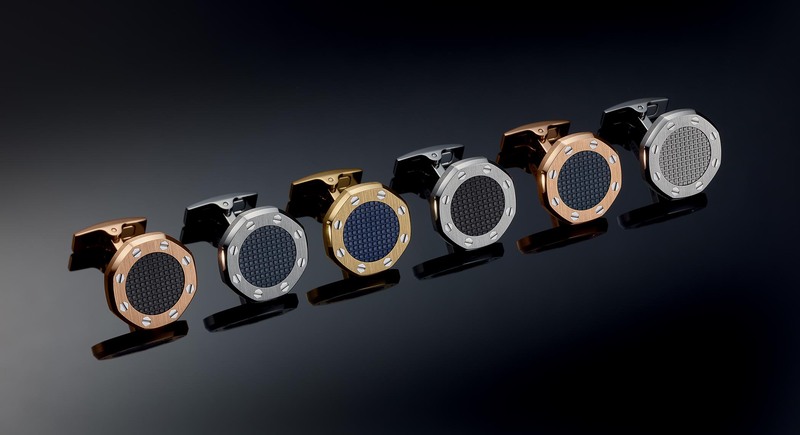 While, at first, the surface was created by hand (by beating the gold with a diamond-tipped tool), in order to create the first prototypes (as seen in the official images of the 37mm version), the brand finally achieved the development of a more industrialized process in order to increase precision and to make sure this surface could be applied in a commercial watches. The main challenge was to create this frosted finish, only on flat surfaces (top of the bezel, top of the case, top of the bracelet) without altering the rest of the case and its sharp angles and polished or brushed surfaces. 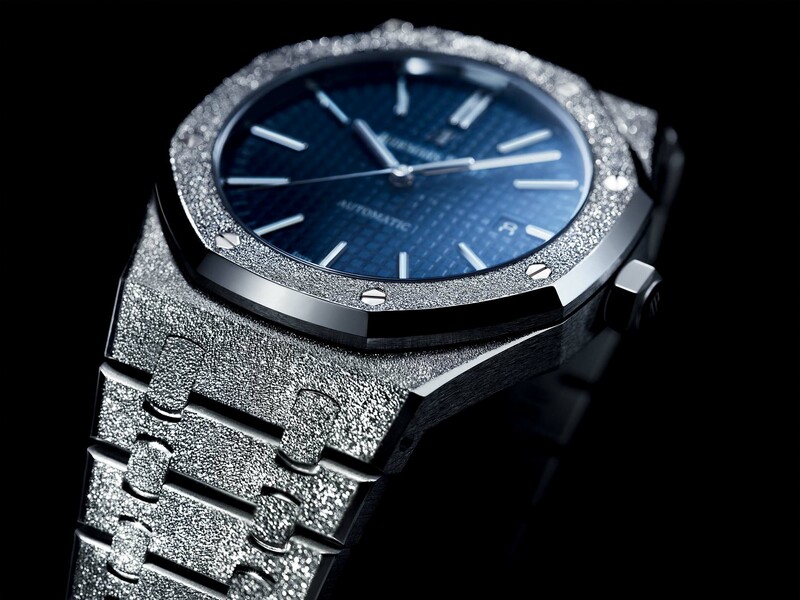 The result is a sparkling surface, with an uneven granularity and render, which feels both extremely delicate under the eye, and surprisingly rough when touched – something which in fact goes quite well with the Royal Oak; a delicate, brutal, sporty and haute-Horlogerie watch… Of course, the look is not the most discreet one and the style is slightly different from a regular Royal Oak 15400, but it is an interesting piece. 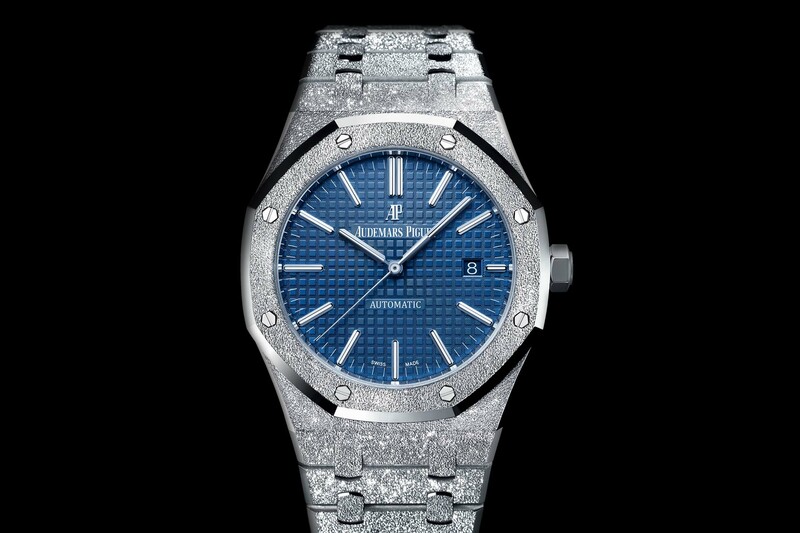 The rest of this Audemars Piguet Royal Oak Frosted Gold 41mm 15410BC is similar to a standard 15400, with the same dimensions, same overall design, it is crafted in 18K white gold, with blue-toned “Grande Tapisserie” dial and Royal Oak hands with luminescent coating, and the same calibre 3120, with automatic winding. 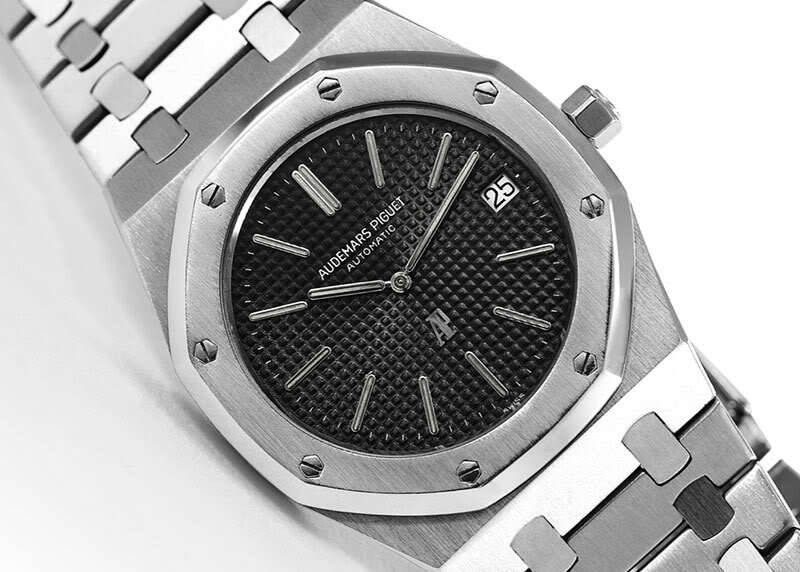 This Royal Oak Frosted Gold 41mm 15410BC is a Limited Edition of 200 pieces. Considering that the 37mm is priced at EUR 56,100, you can expect this 41mm version to be north of EUR 60,000. Specifications: 41mm diameter x 9.8mm thickness – 18k hammered white gold – sapphire crystal on both sides – 50m water resistant – blue guilloche dial – Calibre 3120, 3Hz frequency, 60h power reserve, automatic, hours, minutes, seconds, 22K gold rotor – 18k white gold bracelet. 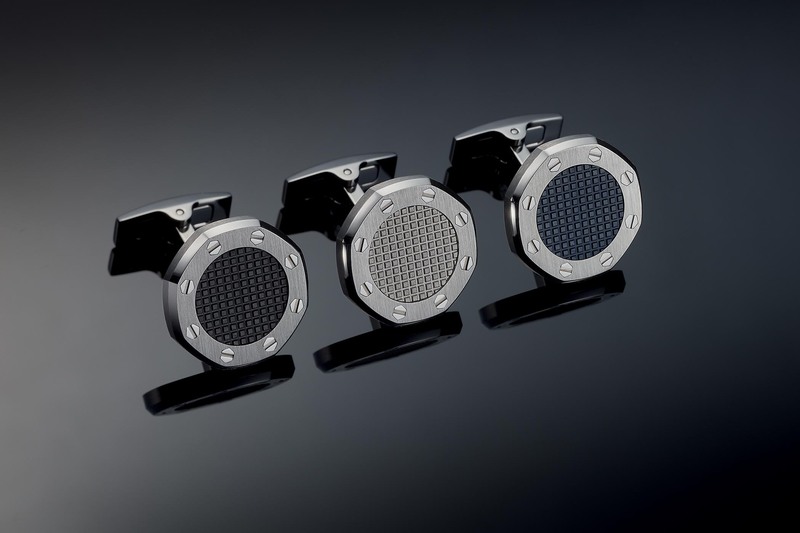 The collection comprises three versions in stainless steel with either a blue, black or silver “Tapisserie” pattern in the center. 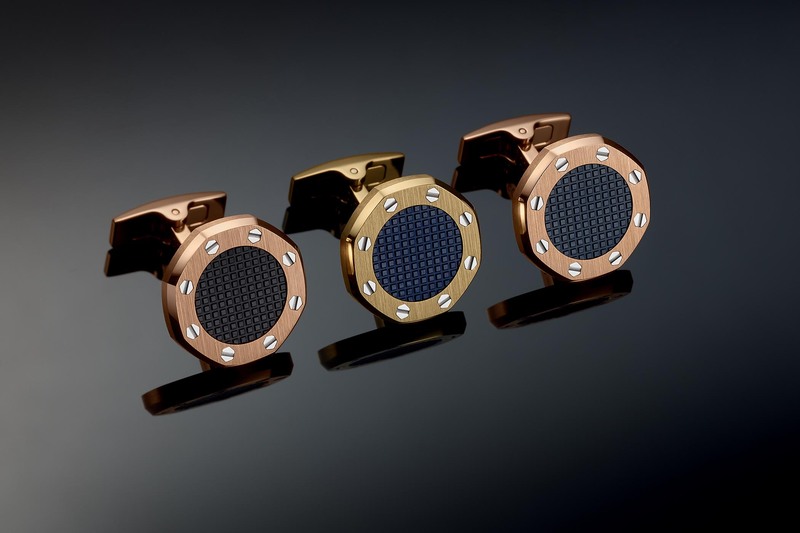 Also, two versions in pink gold with blue or black “Tapisserie” in the center will be available. And last but not least, one version in yellow gold with a blue “Tapisserie” pattern in the center will be offered. It means that for each Royal Oak (whether 15400 or 15202), there will be the dedicated pair of cufflinks. Of course, these cufflinks use two of the most emblematic characteristics of the watch: the octagonal shape (with vertical brushed flat surface, polished bevel and brushed flanks, just like the watch) and the hexagonal screws (always in white metal).